Cast: Willem Dafoe, Oscar Isaac, Rupert Friend, Mads Mikkelsen, Emmanuelle Seigner, Mathieu Amalric, Niels Arestrup. 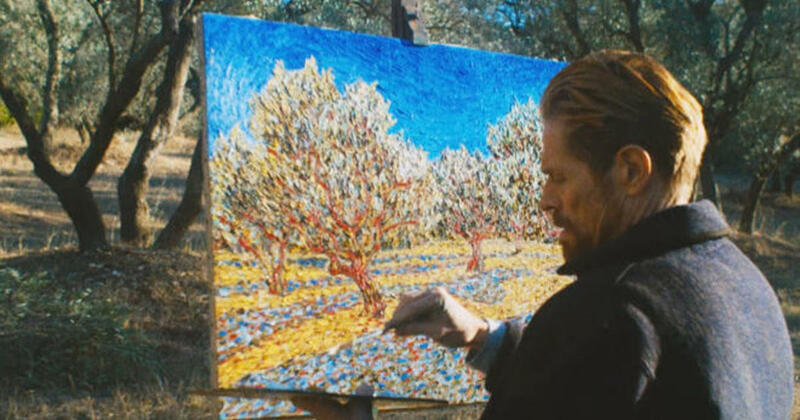 Synopsis: Famed but tormented artist Vincent van Gogh spends his final years in Arles, France, painting masterworks of the natural world that surrounds him. 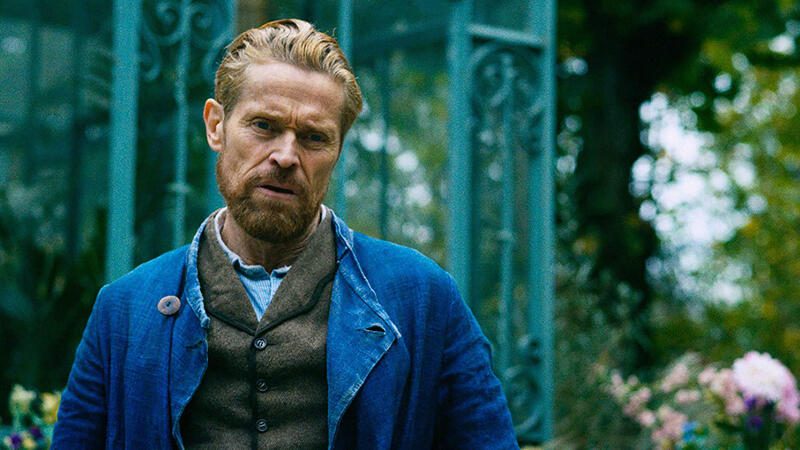 An Oscar-nominated Willem Dafoe gives a mesmerising performance as Vincent van Gogh in Julian Schnabel’s bold, visceral portrait of the artist as he faces his troubled journey to his eternity. Named after a van Gogh painting, also known as ‘Sorrowing Old Man’, 1890, (Kröller-Müller Museum, Otterlo, Netherlands) the film focuses on the painter’s productive final years in Arles, France, and by presenting van Gogh’s visionary approach to painting, stroke by stroke, it also immerses the viewer in his inner world of torment and anguish. This is the result of a dazzling script – co-written by Julian Schnabel, Jean-Claude Carriere and Louise Kugelberg. Unlike a conventional biography, it comprises scenes based on van Gogh’s letters, resulting in common agreement about some events in his life that are regarded as facts, while others are hearsay, including incidents that may be invented. 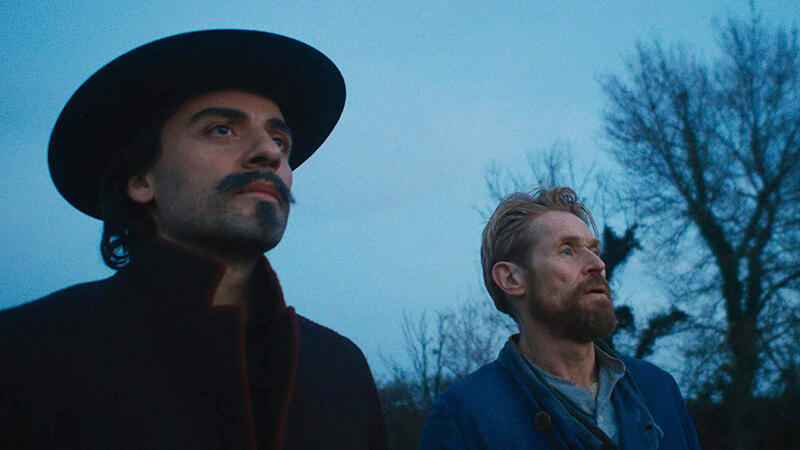 Universally fine performances are delivered by an all-star cast with Rupert Friend as Theo van Gogh, Oscar Isaac as Paul Gauguin, and in vivid cameos Mathieu Amalric, Mads Mikkelsen, Emmanuelle Seigner and Niels Arestrup. Artist and film-maker Julian Schnabel [The Diving Bell and the Butterfly (2007), Before Night Falls (2000), Basquiat (1996)] brings a fragmented style to the film to echo van Gogh’s interior turmoil, with restless, roving, POV camerawork by cinematographer, Benoît Delhomme, and experimental sound which acts as a homage to the light and landscape of Provence. By concentrating on the Dutch painter’s later years in Arles, shortly before his death at age 37, Schnabel is wisely focussing on van Gogh’s most prolific period, in which the artist produced more than 200 paintings in 15 months, all with striking visual poetry about the nature of art, painting, and existence. Schnabel also offers a meticulous, convincing re-creation of what van Gogh’s technique might have been like, with many close-ups of hands applying thick daubs of paint. 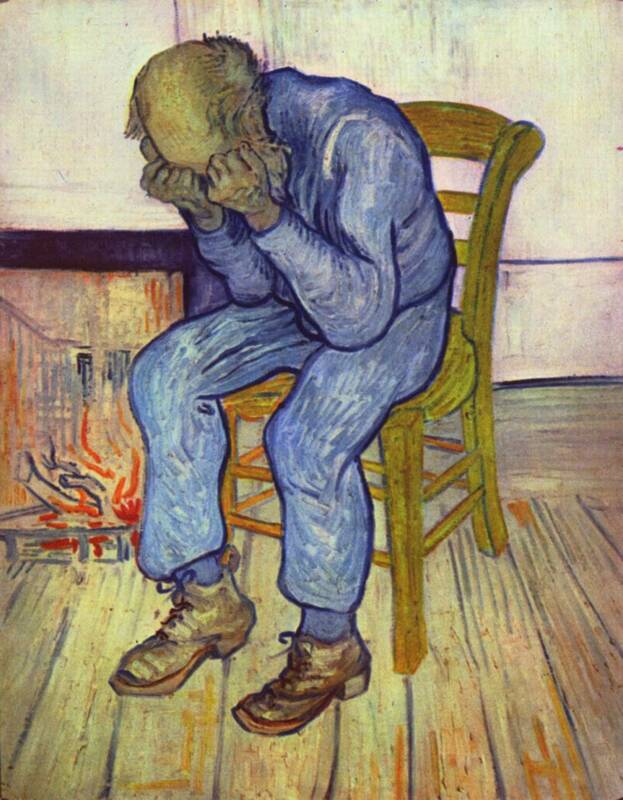 During his self-imposed exile in Arles and Auvers-Sur-Oise, van Gogh developed his unique, colour-rich style of painting, all the while grappling with religion, mental illness and a tumultuous friendship with French artist Paul Gauguin; but latterly he began to focus on his relationship with eternity rather than the pain his art was causing him in the present. 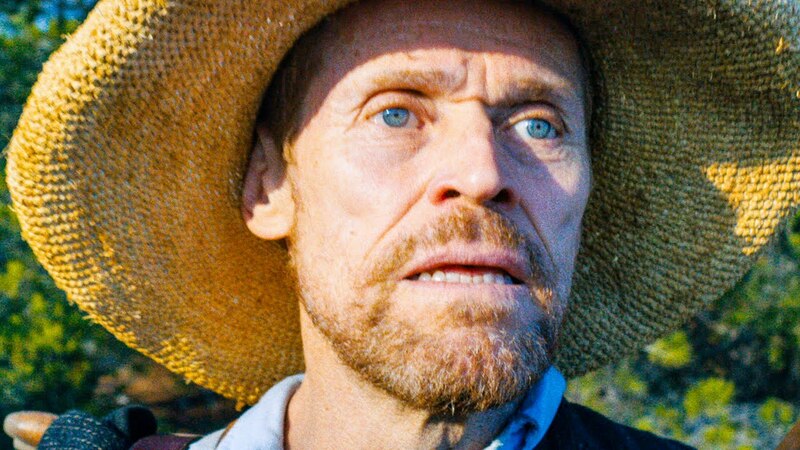 At Eternity’s Gate also screened at this year’s Glasgow Film Festival.